An outlook presented to the Farm Credit Administration shows corn and soybean prices are projected to strengthen, boosting profit margins for crop farmers. The report shows profit margins are expected to decline for livestock producers though, as rising grain prices drive up feed costs, and Southwest pasture conditions deteriorate because of severe drought. 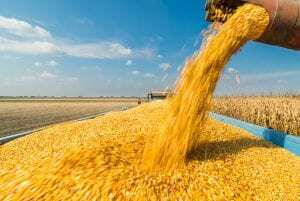 The quarterly report also notes that uncertainties regarding agricultural trade policy and the Farm Bill will have a direct bearing on the farm economy. The outlook says producers across the farm economy will face stress on cash flows from rising interest rates and higher fuel costs, and declining cash rents will put downward pressure on farmland values.